Santa Fe, New Mexico is home to the Museum of Indian Arts & Culture, today’s “Museum of the Day”. I have not been to Santa Fe yet and have an urge to make it top of the list for 2014. It’s been beckoning me with the diversity of cultures there, and it’s reputation for a vibrant arts community alive with some of the best artists from all kinds of traditions. 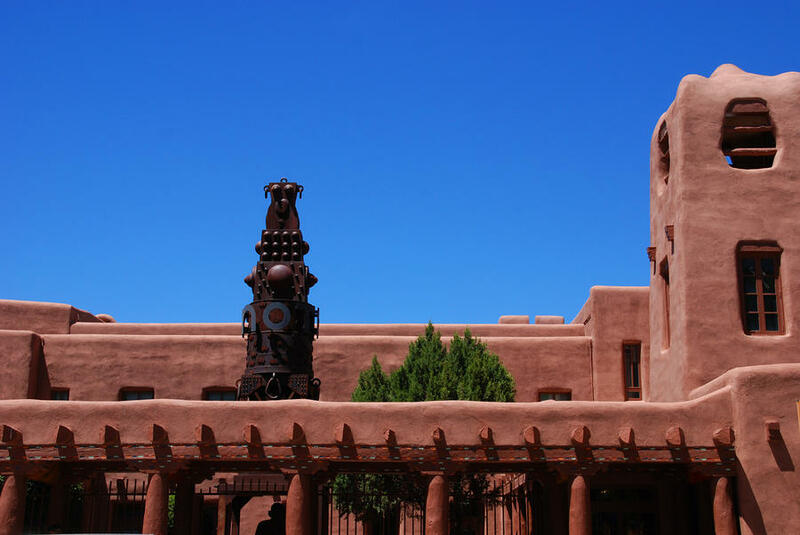 The Museum of Indian Arts and Culture, one of four museums in the Museum of New Mexico system, is a premier repository of Native art and material culture and tells the stories of the people of the Southwest from pre-history through contemporary art. The museum serves a diverse, multicultural audience through changing exhibitions, public lectures, field trips, artist residencies, and other educational programs. More than 65,000 visitors come to the Museum of Indian Arts & Culture each year, of which 30% hail from New Mexico, 50% from other states, and 20% from foreign countries. It is MIAC’s mission to provide cross-cultural education to the many visitors to Santa Fe who take part in our programs and to New Mexican residents throughout the state. It is especially important that MIAC serve the Indian communities in our state and throughout the Southwest whose contemporary and ancestral cultures are represented in the museum’s collections. I look forward to visiting this museum soon!